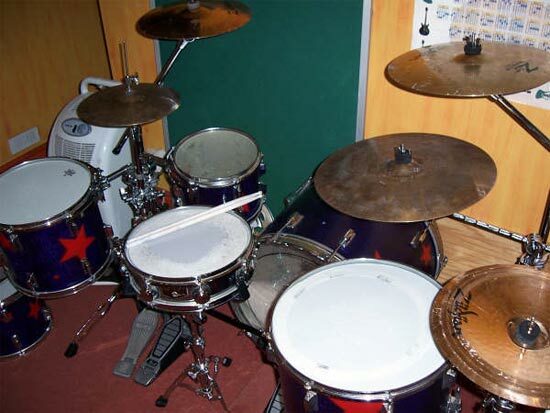 hi... i've just given my kit a complete make-over and it looks fantastic. 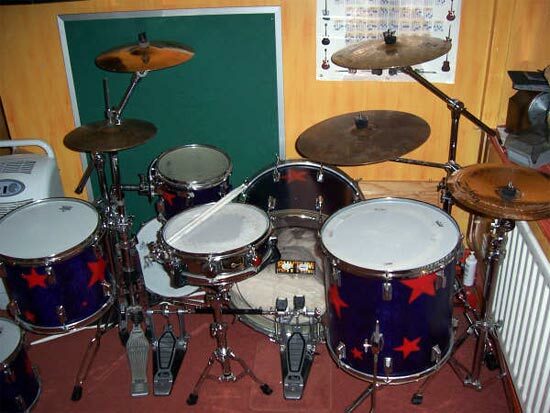 its a pearl export... nothing special. 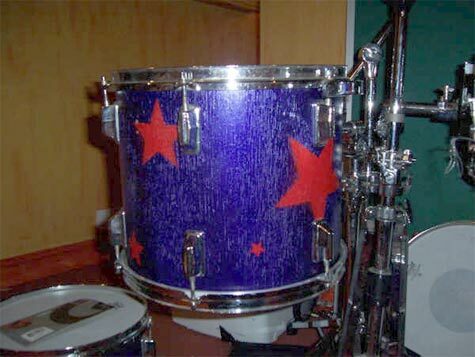 10*8 12*10 13*11 16*16 22*16. i have 2 snares, a 13*3.5 and a 14*5 (custom vented snare) i removed the vinyl coating (originaly black) and sanded them down... i filled in any minor cracks and also where the tubing goes inside the drum... i then sprayed them purple and put red stars on. 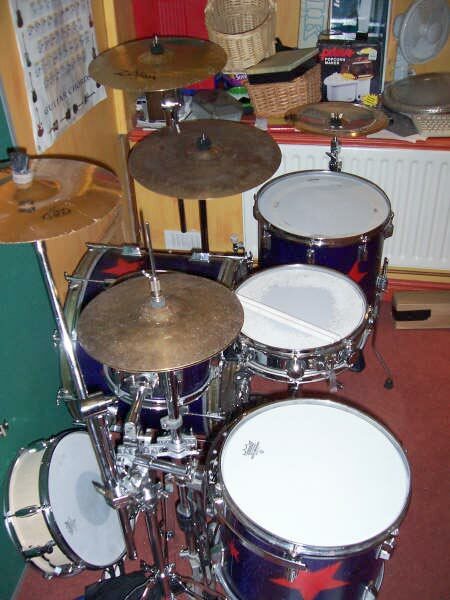 i got a new tom mounting system and there we go... practialy a new kit for uner £100.